from its current owner CVC Fund V.
and an expects an EBITDA of around CHF 195 million. in all phases of the construction life cycle. 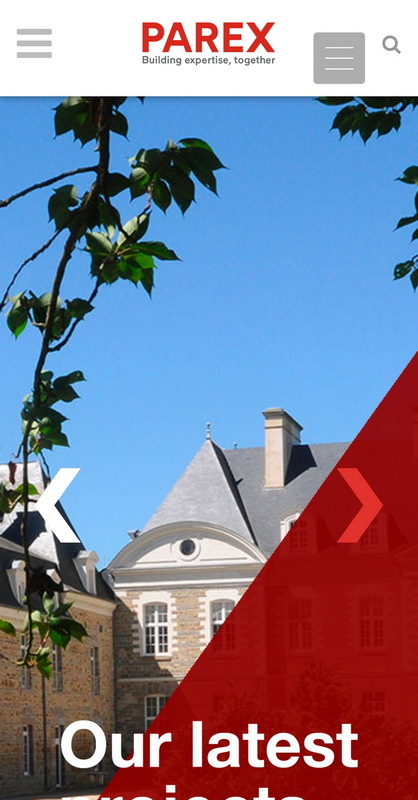 with R&D expertise and technical excellence. and operates 74 plants around the world. 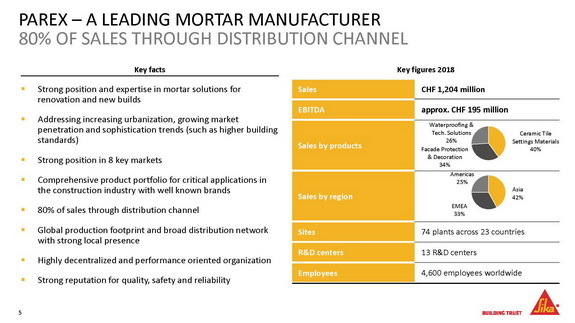 and will reach sales in excess of CHF 8 billion. 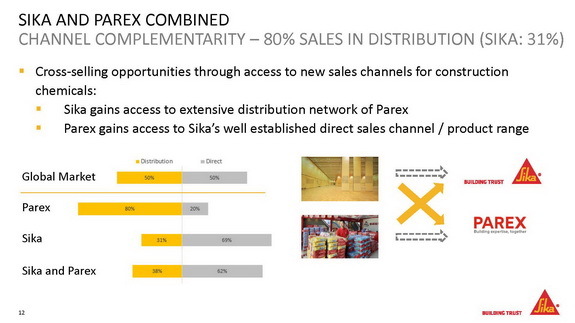 It will deepen and widen Sika’s growth platform. 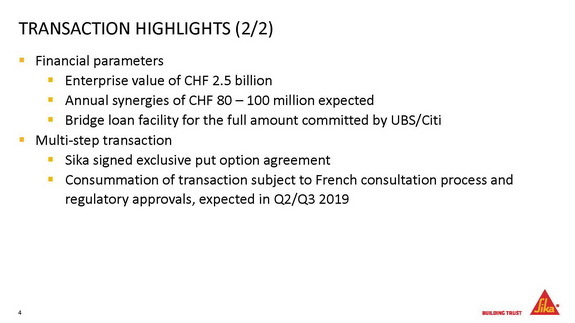 will more than double in size to CHF 2.3 billion. 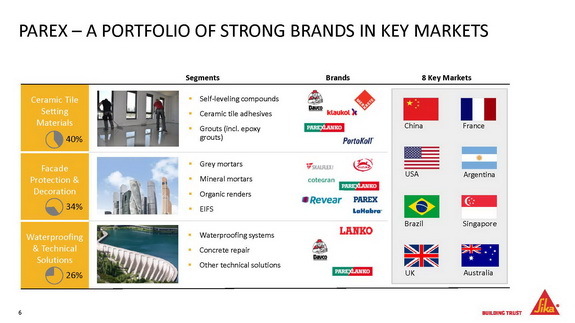 in these growing and attractive market fields. 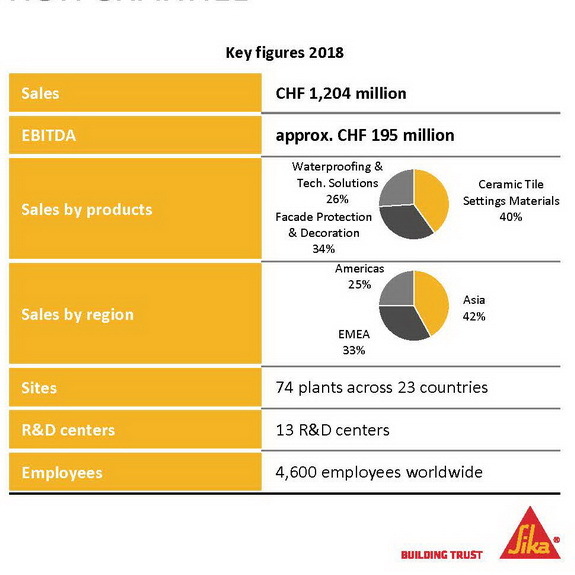 in the range of CHF 80 – 100 million. from the first full year post closing. 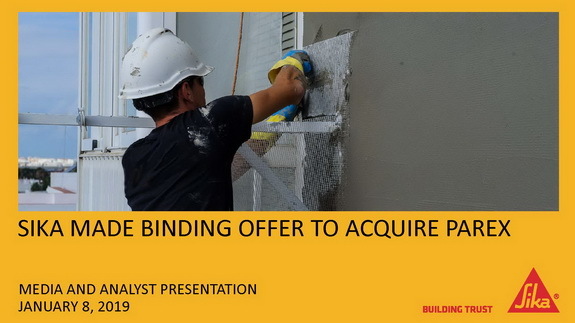 a bridge loan facility committed by UBS and Citi. The acquisition is implemented in various steps. and is expected in Q2/Q3 2019.
and an impressive performance track record. 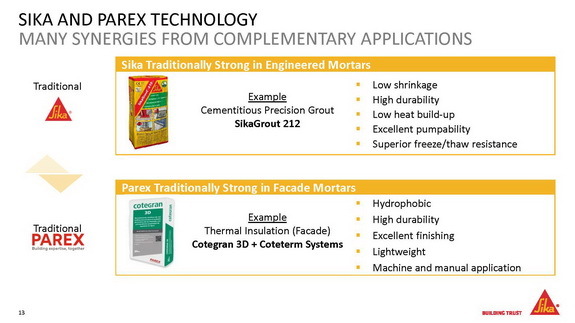 The businesses of Parex and Sika are highly complementary. 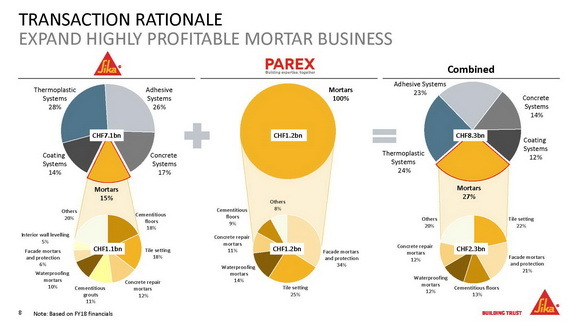 of Parex will generate great profitable growth. 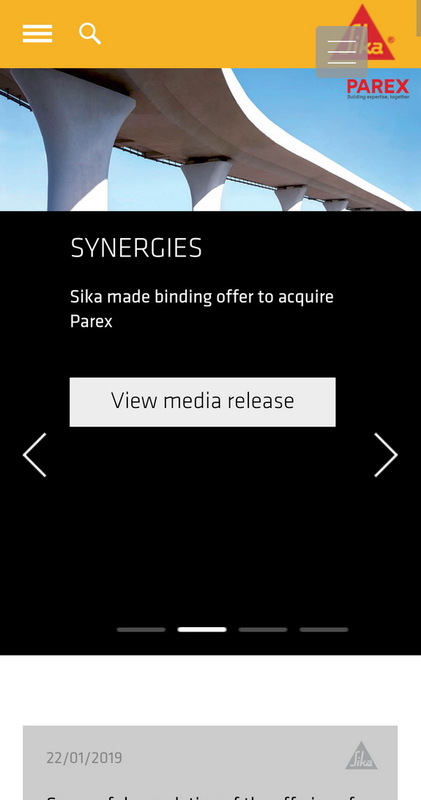 all employees of Parex to the Sika Family. 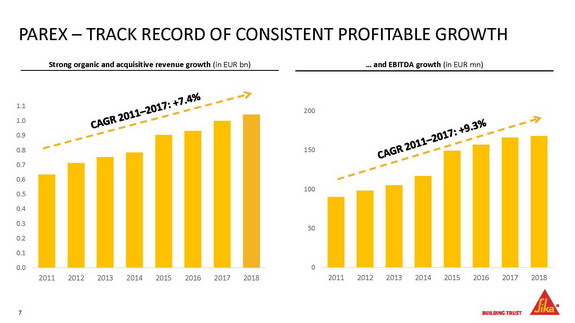 from EUR 750 million in 2013 to over EUR 1 billion. and built a new international R&D center.